Original coastal cottage on a 853m2 block with the estuary at the rear and stunning beach directly across the road. Yes you read it correctly this property is a waterfront beach shack located in the popular coastal village of Hastings Point. The property consists of 3 bedrooms, main bathroom, laundry/second bathroom, separate lounge and kitchen/dining area, front entry/sun room, rear sun room and a single garage. If youâ? 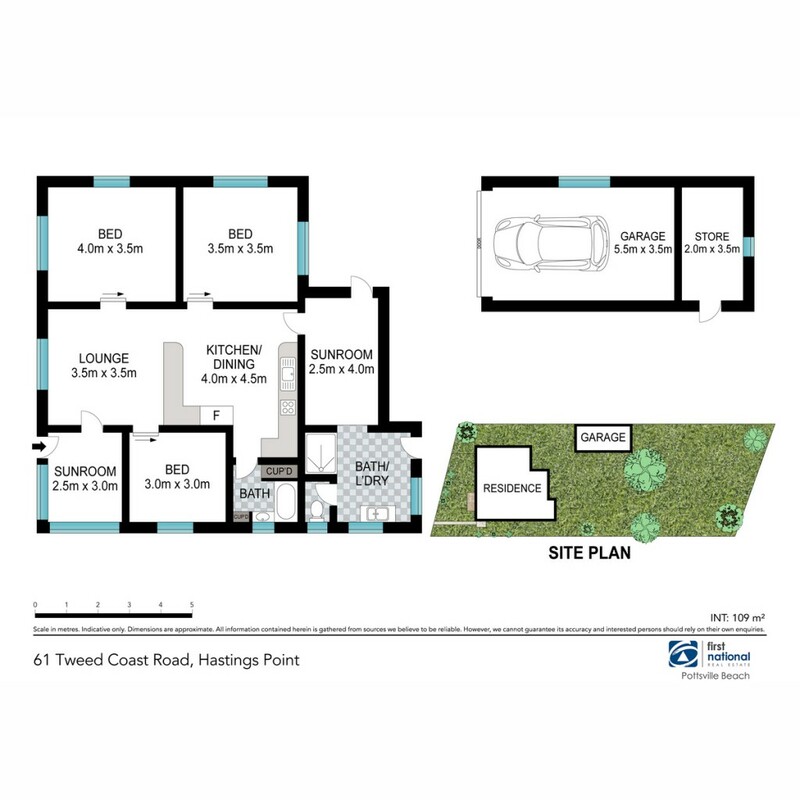 ?re looking for a beach lifestyle property or a special block to build your dream home then you may have just found it. Fishing, paddle boarding or kayaking at your back doorstep and surfing or just relaxing on the beach directly across the road, what more could you ask for? Hastings Point is tightly held and opportunities like this donâ? ?t come around very often, for more information or to arrange your private inspection contact Oscar Van Megchelen.